Residential Locksmith Allentown PA at LockTech24/7 is the most convenient way to take care of your home security. We are a one spot shop for a fully mobile locksmith service for your house or apartment. Furthermore, we back up our product and labor with a ninety days warranty. With this in mind, our residential locksmith Allentown PA is the locksmith guy you may need. Not just we can solve issues with the locks on your doors., but we can also upgrade its security. Please allow us to introduce you to our residential locksmith services in Allentown PA. In regards to home lockout services in Allentown PA, we believe you want a fast mobile residential locksmith. With this in mind, we focus on speed when we get emergency lockout services in Allentown PA.
We can open any door in your house! This includes; unlocking house front door, unlocking apartment door, or unlocking bedroom door. Our experienced technicians can easily pop any lock on your house doors. House Door Unlocking Allentown PA – Residents of Allentown PA knows they can rely on the emergency lockout services of LockTech24/7. With this in mind, they keep calling us any time they need a residential lockout service. We can unlock your front door or a back patio door. This is our expertise to unlock your door within minutes. Apartment Lockout Allentown PA – If you live in apartments building and need to unlock the front door of the building, we can help. In addition, if you also need to unlock the door to your apartment, we can do it too. Whenever you lock yourself out of your apartment, we’re ready to take your call and come to help, quickly. Locked Out of a Bedroom Allentown PA – Sometimes, you can get locked out of your master bedroom, or any other room in your house. In addition, you store your medicine in that room, and now you cannot get your medicine. For this reason, please don’t hesitate to call our emergency lockout services in Allentown PA. With an intention to serve you better, we’re available 24 hours a day, 7 days a week. Safe Lockout in Allentown PA – Anyone has a lock box or a safe in his house. Sometimes, we hold a lockbox not only to store money but sometimes to store also documents. If you have a safe box and you can’t open it, we can do it for you. House lock can break in time. This can happen because your lock is rusty or out of wear and tear. When the lock on your door breaks on you at the middle of the night when you arrived home tired, it can be frustrating. Yet, don’t let it get into you! LockTech24/7 locksmiths in Allentown can easily step in to solve the issue of your lock. We can re-key, repair, and replace any lock you may have on your doors. With attention to your safety, we can always recommend the best advice also to upgrade your security. Re-key Locks of a House in Allentown PA – Locks re-key service is a must-go service when you move into a new house or apartment. In addition, it also necessary to re-key the locks of your home if you suspect that your key got into bad hands. Repair Locks of a House Allentown PA – Locks repair service in Allentown PA is one of LockTech24/7 first priority of emergency residential locksmith service. For this reason, we answer your call fast and arriving on site in a fairly time frame. Replace House Locks or Apartments Locks in Allentown PA – Are the locks on your doors rusty or old too old? We offer a variety of lock solutions and replacement specifically to fit the locks for your home. Mailbox Lock Services in Allentown PA – In some cases, a simple job of a mailbox lock repair or replacement can be a time-consuming task. That is to say, you may need a professional locksmith to take care of your mailbox lock. Broken House Key Extraction in Allentown PA – A broken house key can be an unpleasant moment, especially if it happens at early morning or at the middle of the night. It is important to remember we are ready 24-7 to help you to get the broken key out, and get your door open. With the increasing crime rate in Allentown PA, we believe you may think to upgrade the security of your home. With this in mind, you think maybe to install a digital keypad lock, or maybe installing a security CCTV cameras system. However, whenever you decide to upgrade the security of your residential property, we’re here to help. 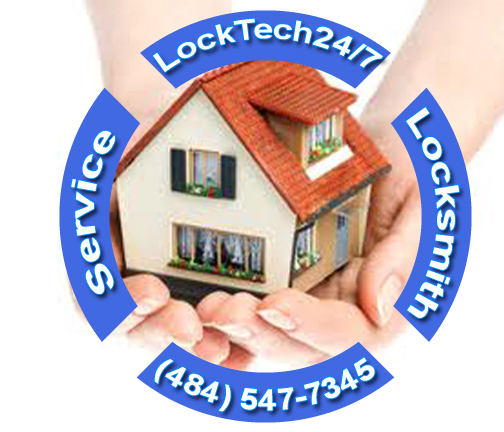 LockTech24/7 residential locksmiths are here any time you may have an issue with the locks of your house or your apartment. Call us now and enjoy feeling safe in your home!